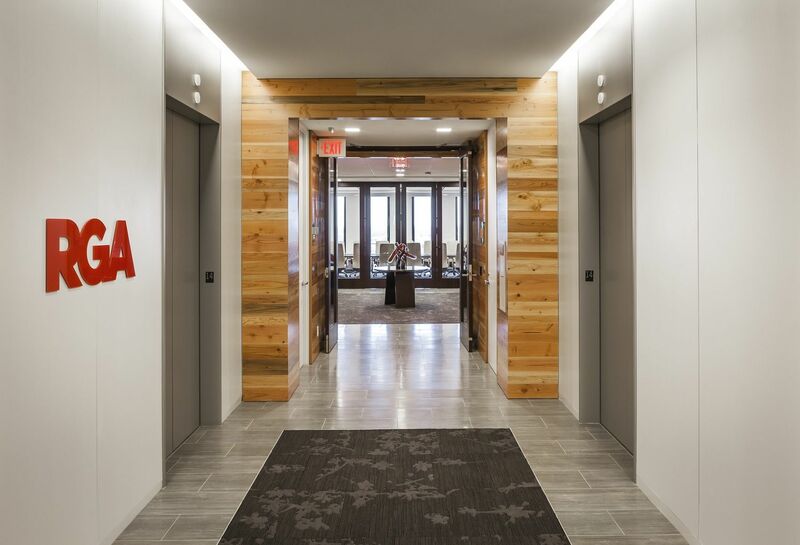 Located between the downtown core and the Mississippi River, this 30,000-SF workplace connects employees to river paths for biking, walking, and relaxing during lunch breaks while still tying into the adjacent businesses, restaurants, and other urban attractions. 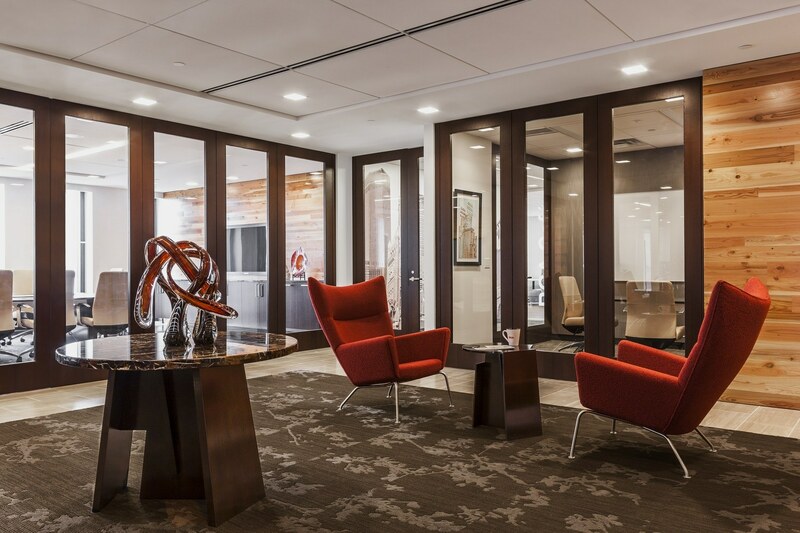 The open interior plan supports collaborative and private work needs. Private offices are centered at the core. 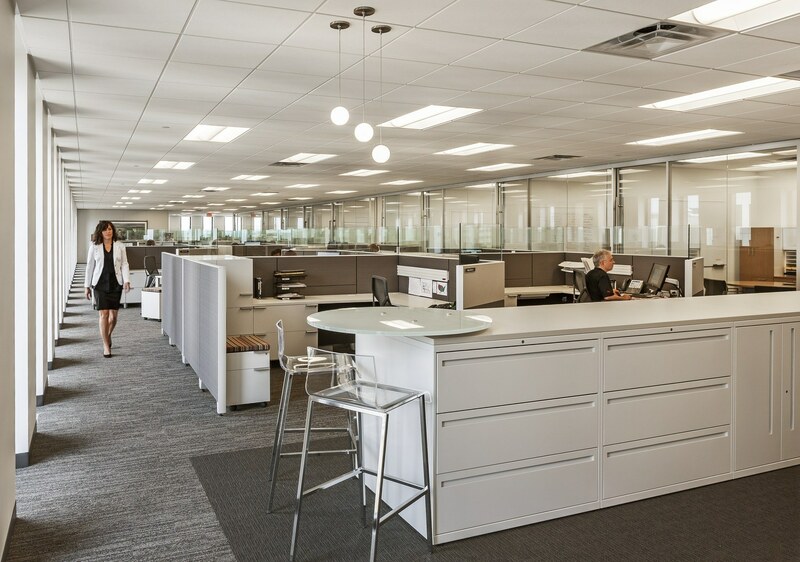 Surrounding open workstations feature low panels to allow natural light to penetrate the space. 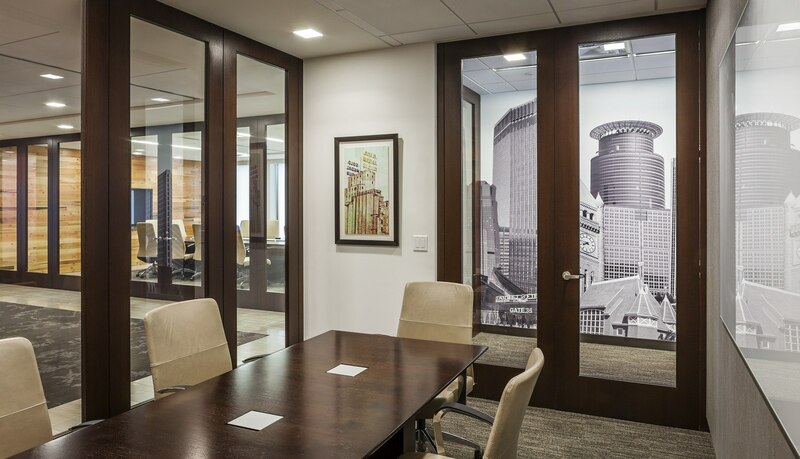 Conference rooms and phone rooms are integrated throughout for private meetings and conversations. 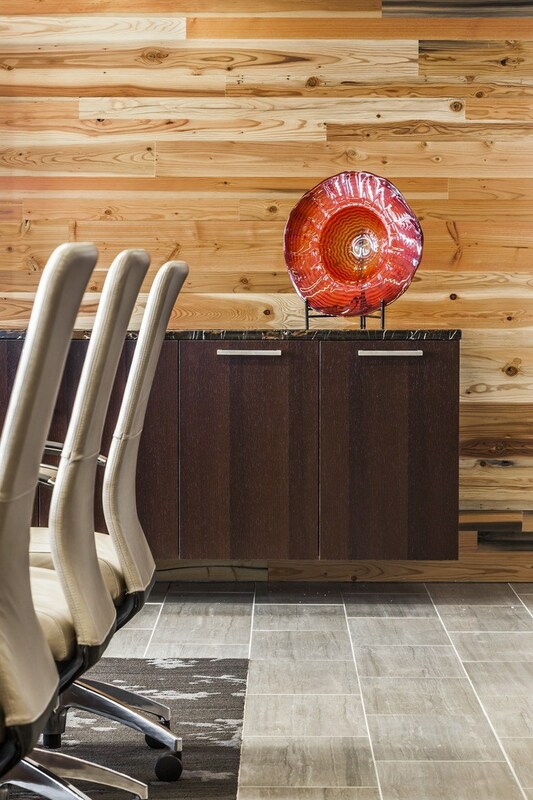 A lobby with a virtual receptionist breaks the paradigm of the traditional reception space while maintaining a warm, inviting atmosphere. 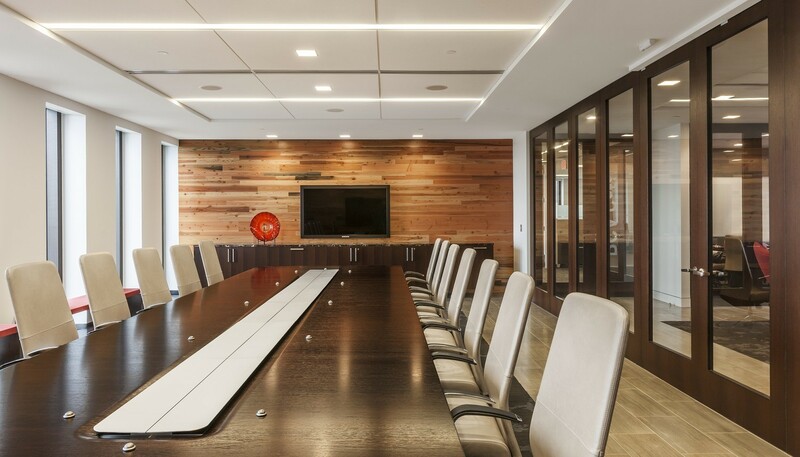 Throughout, reclaimed wood paneling, locally-sourced stones and nature-inspired fabrics further reinforce a healthy and positive work environment.